Seasonal Tour - This tour generally runs during July and August only. Experience the world of sled dogs during an overnight trip staying in a backcountry hut in the Pisa Range. Your ride is a team of Huskies and with the guidance of our experienced mushers you will learn all you need to know about how to drive and take care of your own team. This is your chance to immerse yourself and experience the world of sled dogs. With time on our side we have the ability to really learn about the gear and dogs. Starting with an introduction to the dogs and some instruction on how to drive a dog team you will very quickly progress to where you get to drive you own team, which will be your ride to our nights accommodation. 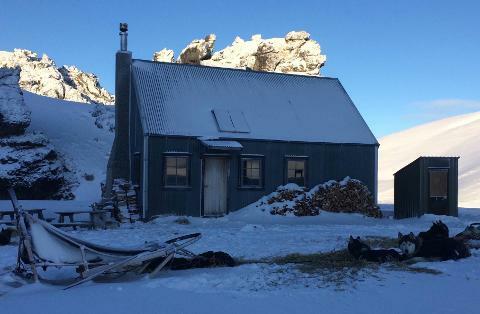 A picturesque set backcountry hut is our accommodation for the night, where we will feed the dogs and bed them down. 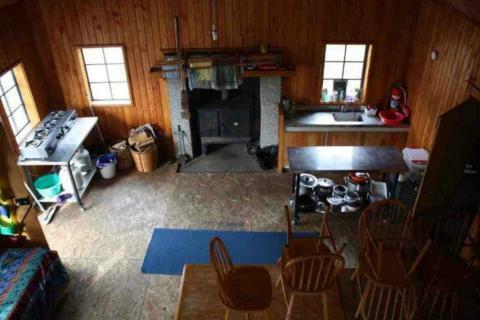 After the dogs are settled we will enjoy a meal in the comfort of our hut, there is the option to either go for a night run or sit in the comfort of the hut and talk and learn more about sled dogs. After a good night sleep for you and the dogs our first priority will be tending to the dogs followed by breakfast. It is then time to pack up and get back behind our teams for another run which will conclude back at the Snow Farm Lodge. Duration - tour starts between 1430 - 1500 and finishes between1100 - 1200 the next morning. Tour Type – this is a “Drive Your Own Team” tour (Self Drive). Numbers – one guest per sled. Guests are not able to sit in the basket of a sled driven by another guest for safety reasons. Accommodation – accommodation is a back country hut. No power or running water, the toilet is an outhouse. The accommodation is shared with other hut users and is communal living. Please enquire about booking the hut exclusively. Meals – dinner and breakfast is provided. Specific dietary requirements can be catered for on request. Alcohol may be consumed in the evening after the night run, however guests will not be allowed to drive a team after consuming alcohol. Maximum weight – 100kg / 220lbs (please enquire about exceptions to this). Gift Cards – upon confirmation of your order your gift voucher will be created and sent to you electronically. You will receive your electronic gift voucher within 24 hours. Gift vouchers are valid for 12 months from the date of purchase.